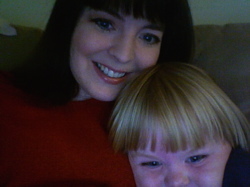 I’m a Los Angeles-based mother of one, normally employed as a proofreader/copy editor but currently looking for work. My husband, a conductor and arranger, is just ending a stint teaching at UIC – yep, that C is for Chicago, so THAT was fun – so we’re just finding out what the next chapter will be. My main interests are music, reading, hanging out with my beautiful son, a very few TV shows that I get overinvolved in, hot sunny weather, vegan baking, and being pathologically terrified of snakes. Well, that’s not an interest so much as a thing I can’t avoid.